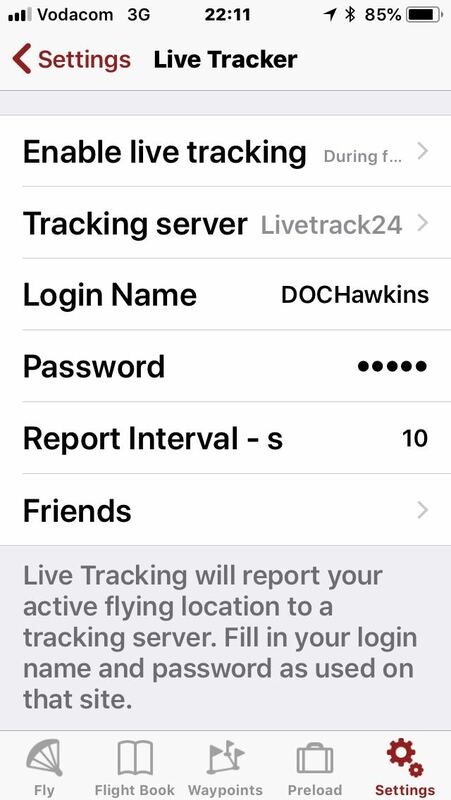 Step 3: Setup enable Livetracking during flight (so your wife cant see you at the pub..). 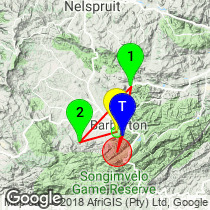 Set LiveTrack24 as the server and provide the username and password that you entered the Barberton open with. Report interval defaults to every 10 seconds. This means the app tries to send the accumulated breadcrumbs to the server every 10s (see comments below). If your phone has battery issues you can up this to 60 seconds although that is a bit of a party pooper for livetracking spectators. That is better than your phone dying though. Step 4: Set the log interval to 1 second. 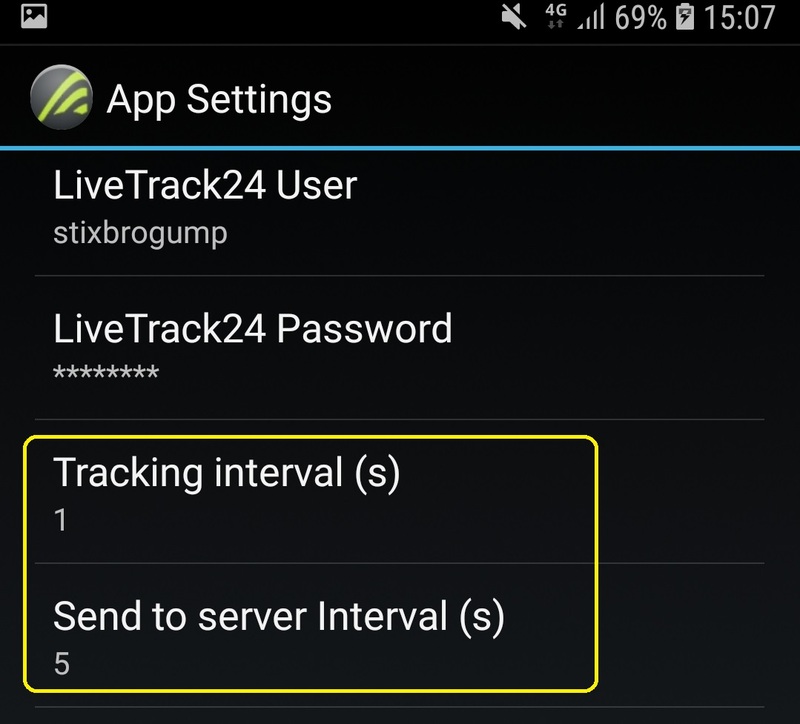 This is how frequently the app creates a breadcrumb for your tracklog (IGC file). This file is stored on phone in case of communications issues. 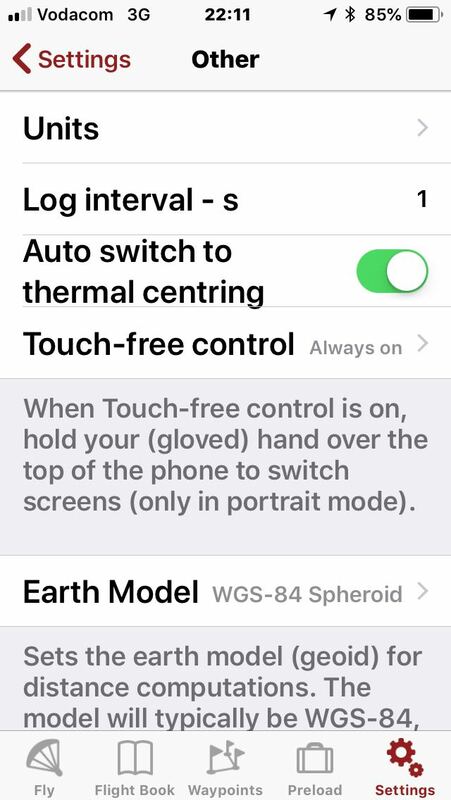 Step 5: Enable auto start under settings->other. 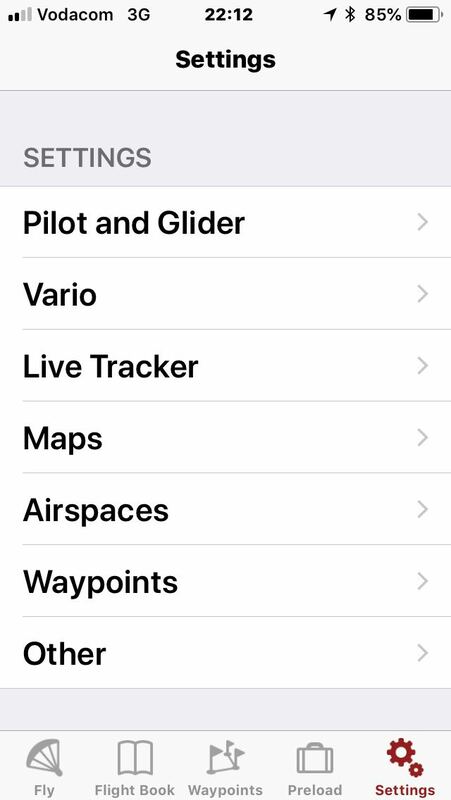 This will allow you to "fire" the app up and then it will start logging when you take off. Disable auto-end as this can create problems. Please manually end your flight when you land. Please make sure that your phone is fully charged and has a battery pack if its battery power is poor. Some phones will automatically kill FlySkyHy if they get to "low battery" mode which is at around 15% of power. Make sure the tracking interval is set to 1 second. This is the breadcrumb that is used to create your IGC file (i.e. 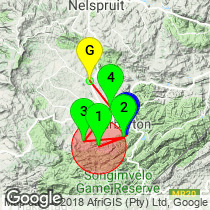 your tracklog that is used for scoring). Note - this file is also stored on the phone in case of no signal etc. Send to server interval. This dictates how often your phone sends the breadcrumbs to the server. If you struggle with battery life, set this to 60 seconds. It is a bit of a party pooper for people watching but it is better than the phone dying halfway through the task. 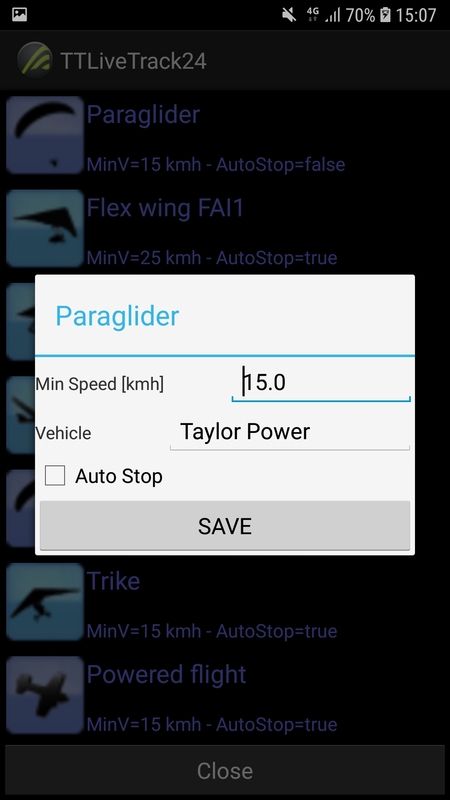 Set min speed to 15kmh and uncheck auto stop. 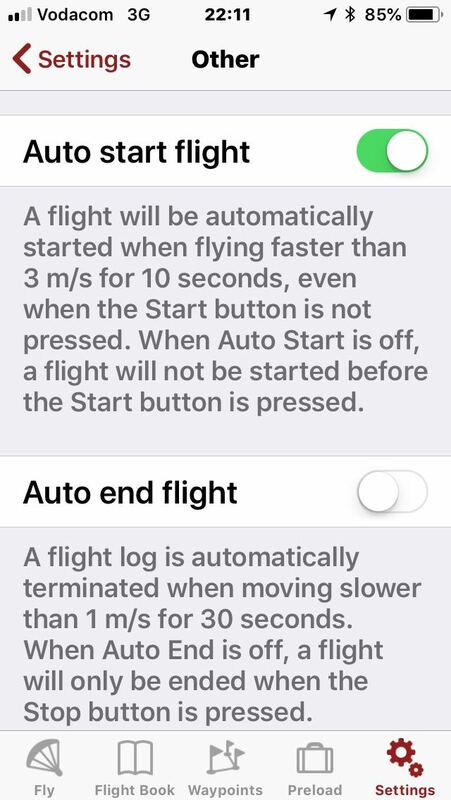 This ensures that the log doesnt stop before you even takeoff which happens sometimes. 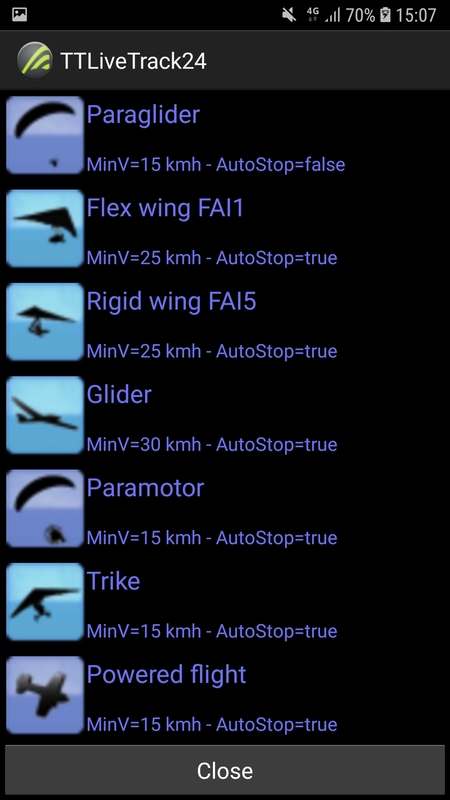 Please stop the task 'manually when you land! Please make sure that your phone is fully charged and has a battery pack if its battery power is poor. 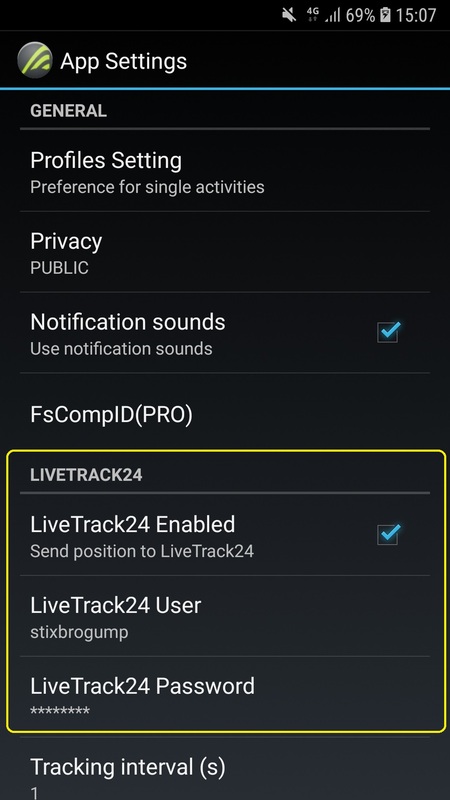 Some phones will automatically kill TTLiveTrack24 if they get to "low battery" mode which is at around 15% of power. 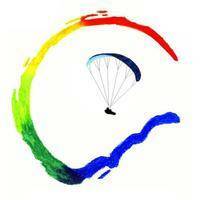 Barberton Paragliding Open will be held over seven days between 24 June 2018 and 30 June 2018 with no rest days. 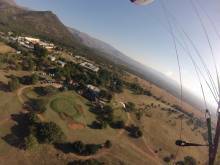 The competition is being hosted by the Lowveld Slope Soaring Club. 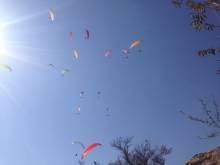 Barberton is South Africa's premier winter flying site, as Porterville in the Western Cape is to the free-flying community for summer flying. 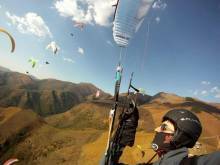 Also, several South Africa paragliding Nationals have been held in Barberton. 2.2. The Registration office will be open from 16:00 to 20:00 on Saturday 23 June 2018 and again on the morning of 24 June 2018 between 07:00 and 08:00. The closure of Registration is considered as the official start of the competition. 2.3. 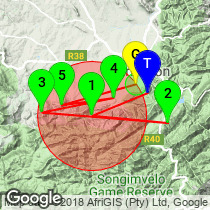 There will be a Pilot Briefing at the Meet Centre at 09:00 on Sunday 24 June 2018. There are only 2 frequencies that can be used during the competition. The first is the Flying and Safety frequency of 141.600MHz and the second will be the Retrieve and Coordinating frequency of 141.625MHz. 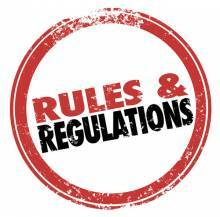 There will be no “team frequencies” and pilots are not allowed to receive information or assistance via any communication. Radio frequencies are meant to be kept open for communication. Only frequencies allocated by the organisers may be used. 10.1. FS Software by FAI will be used with GAP latest scoring formula. Leadout Points and Drop task will be used as well as Arrival Time points. 10.9. Scoring will be done according to the FS Software scoring programme, the version using the GAP 2016 scoring formula. GAP parameters will be discussed and decided at the Pilot Briefing. The following parameters are a guideline and must be voited in at the first briefing before task 1. 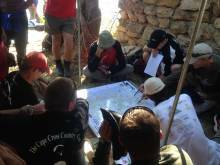 The fee will be R3,000.00 (200 Euro). Registration closes 16 June 2018. No Late entries will be accepted.